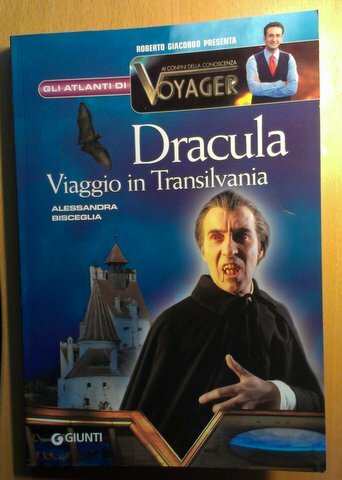 Allessandra Bisceglia's Dracula: Viaggio in Transilvania (Giunti, 2008) is a colourful companion to the Italian TV series Voyager presented by Roberto Giacobbo. The book is no doubt meant for a relatively young audience who are presented with the history of Vlad Tepes, vampires, the fictional Dracula and his cinematic incarnations. A number of photos from Romania from the making of the Voyager documentary on the subject are included. Lord Ruthven certainly attracted the intention of not only polite society, but the public in general in the 19th century. Initially no doubt aided by the attribution of the tale to the notorious Lord Byron, the vampiric Lord and his effect on particularly women eventually took on a strange life of its own: in print, on the stage and set to music. 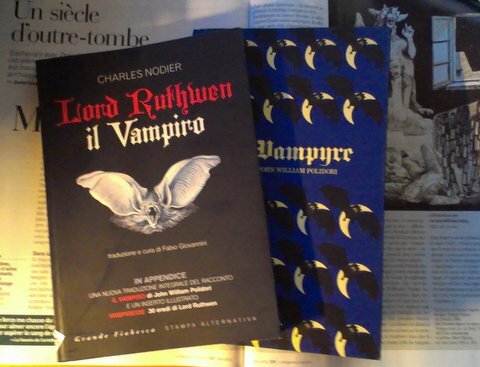 Much has been written about Polidori's tale, the sensation that it created and its role in developing the aristocratic vampire into Count Dracula, but I cannot recall seeing a work solely created to the subject of Lord Ruthven, until I picked up Fabio Giovannini's Lord Ruthwen il Vampiro in Italy. 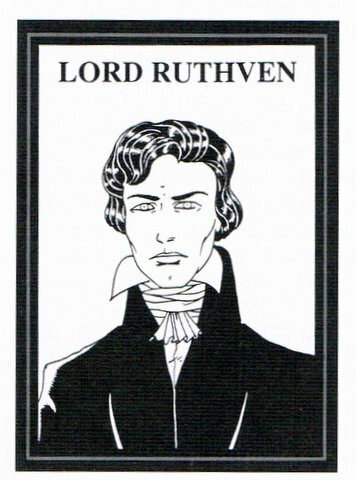 Ruthwen, and not Ruthven, it says, because the major part of the book consists of a translation of Charles Nodier's Lord Ruthwen ou Les Vampires published in 1820 and attributed to 'C.B.' (Cyprien Bérard). 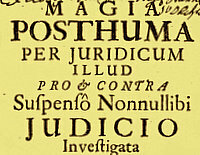 Giovannini has, however, also included a translation of Polidori's original tale, but what attracted to me the book was the 'Ruthweniana': the information about Lord Ruthwen/Ruthven's adventures in various guises and media, not only in 19th century, but also in films and comics of more recent years. And I certainly was unaware of the 'true' Lord Ruthvens: Patrick Ruthven (c. 1520-1566) and William Ruthven (d. 1541-1584), cf. also Clan Ruthven. 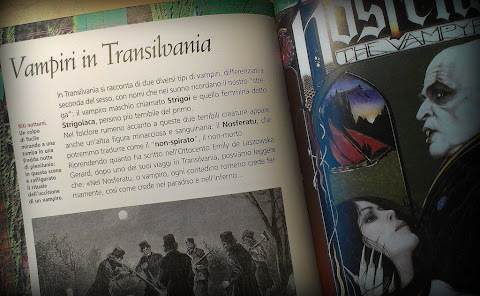 Giavonnini also includes bibliographic information about Polidori's The Vampyre and a colourful series of portraits of thirty of Lord Ruthwen's descendants from Sir Francis Varney and Count Dracula to Edward Cullen and Count Domingo Vrolok. Lord Ruthwen il Vampiro then no doubt will appeal both to those seeking vampire thrills and for the afficionados of the genre. Required, of course, that one can fully understand and enjoy the Italian tongue. For Nodier's novel in French, check Google books or Florent Montaclair's Le vampire dans la littérature romantique francaise 1820-1868: Textes et documents (2010). English translations of Nodier and other relevant texts should be available in Frank J. Morlock's Lord Ruthven the Vampire (2004). 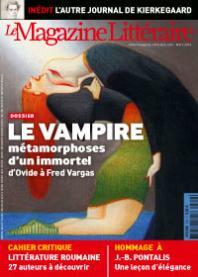 From Ovid to Vargas, the March issue of the French Le Magazine Littéraire minutely traces the metamorphoses of the vampire over more than forty, lavishly illustrated pages of articles by Claude Lecouteux, Jean Marigny, Daniel Sangsue, Jacques Sirgent and a host of other writers and scholars. Mostly concerned with the development of the fictional vampire, there is also room for historical and mythological aspects of the topic. 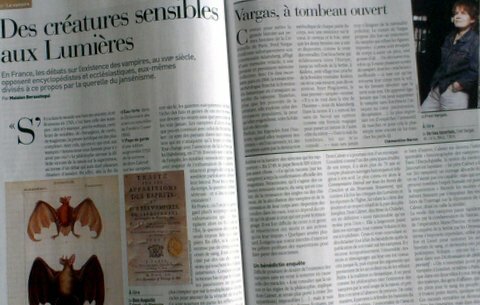 Lecouteux writes about the vampire from Kisiljevo to Sozopol, and Maialen Berasategui outlines the 18th century vampire debate. The issue also contains a theme on Romanian authors and some extracts from Søren Kierkegaard’s recently published journals. A thorough review of the vampiric contents can be found on vampirisme.com.